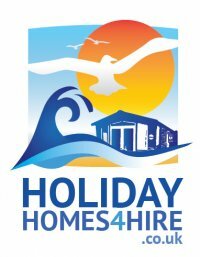 We have for hire on The Primrose Valley caravan Holiday Resort, Filey Near Scarborough. The 38x12ft Luxury 3 bedrooms, 2 bathrooms 6 berth static caravan is located on the Rose Bank area of the Primrose Valley resort, ideally situated on a quiet area of the Primrose Valley Park. Just a short walk to all main attractions and complex's. Primrose Valley is Haven's flagship caravan holiday park, so goes out to impress offering something for everyone. The park offers non-stop action boasting 4 swimming pools, food outlets which include Papa Johns, Fish and Chips, West Pier Burger Restaurant and a family friendly Mash and Barrel pub. Primrose Valley is a 5* caravan park, direct beach access, On site SPAR convenience store with gift shop that sells a variety of everyday products. Double front patio Doors and 2x large enclosed Decking’s. Wi-Fi is available within the caravan. What can we say , from choosing the caravan to booking it , has been a very easy processes. When arriving to the van we were blown away with it. It was clean and had everything we could possibly need. Andy as been very helpful with everything. We would say if you are thinking of booking ! Don't hesitate get it done, you won't regreat it. Thanks again for letting me and my family stay at this stunning van , and having the best time at primrose valley. My Friend and I have just returned from 4 nights in this beautiful caravan. The 4 kids had a blast, toys were available along with a brill selection of DVDs not that we spent much time in the caravan We loved how peaceful it was, plenty space for the kids to play and not too far away from facilities. The caravan was spotless, smelt clean and had everything we could have wanted. We will be booking again. We really enjoyed staying in this caravan which had central heating as the weather was quite cool on the week we had. The beds were very comfortable and the shower was lovely and warm. The accessories in the caravan were all you needed to do all that was necessary to carry out everyday tasks. I would recommend this caravan to anyone. First time visitor to this holiday park. What an excellent and spacious caravan. Filey is the perfect location. We spent days at Bridlington, Scarborough and Whitby which were only short journeys away in the car. We will definately be back to Primrose Valley next year. Had a lovely week in the caravan, nice and clean and tidy. No issues. Quiet part of the park not too far from the club. Definitely recommend will be booking again for next year. Absolutely amazing week at primrose valley . Lovely clean caravan and the owners are a pleasure to deal with .will definitely be booking again !! Another amazing week in primrose valley. Caravan was beautifully finished and immaculate on entry.Andy yet again a delight to deal with . Would recommend to all my friends and family ! Absolutely amazing holiday by far the best and cleanest caravan I have ever stayed in be back next year again for same van..